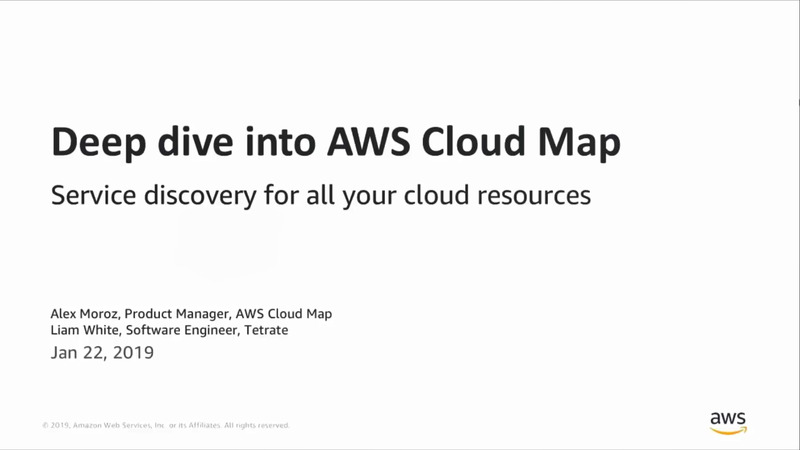 In this tech talk, we'll dive deep into the AWS Cloud Map, a new service introduced at re:invent 2018. AWS Cloud Map is a cloud resource discovery service. With AWS Cloud Map, you can define custom names for all your application resources and then your applications can discover them at run-time. This increases your application availability because it always discovers the most up-to-date locations of resources it depends on and upstream services.